Let's take a look at another channel pair. Review the E-Commerce / Tablets row. 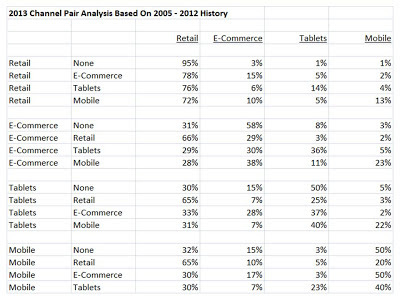 This is an interesting row, because these customers have spent more, historically, on e-commerce than on tablets. The key with this row, of course, is what these customers do in the future. Take a peek at the future. Ohhhhh, this result is absolutely delicious, isn't it? 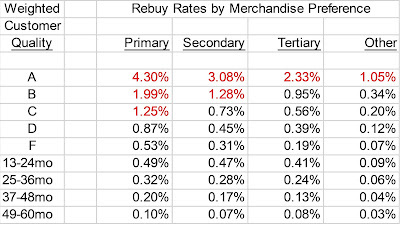 The historical preference is e-commerce. The future preference is a mix of retail, e-commerce, and tablets, with a skew to tablets. 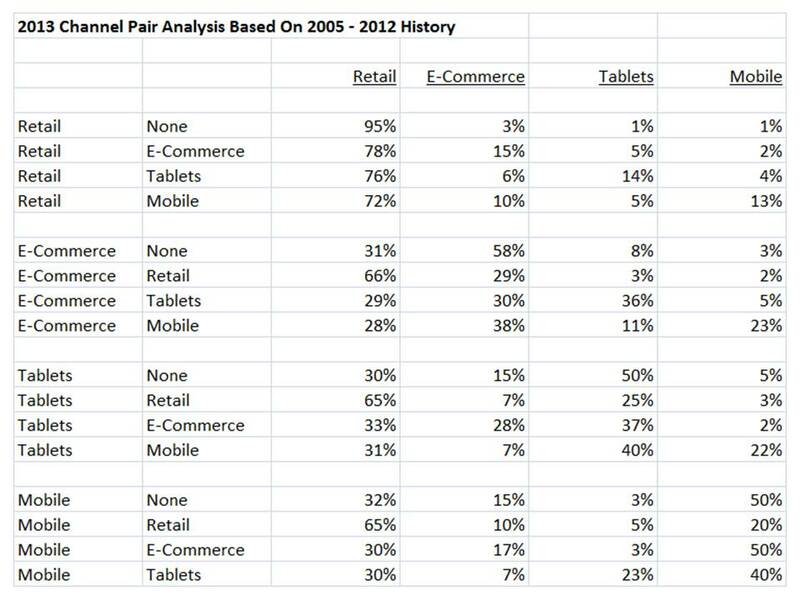 This illustrates a customer that is in transition ... the customer is slowly switching from e-commerce to tablets. This tells you that your tablet-based investments are appropriate. Just as important, the customer spends nearly 30% of future volume in stores, telling you that you must have synergy between retail and tablets. Next week, we'll analyze additional channel pairs. 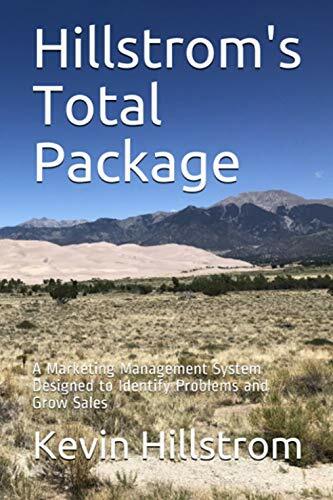 It should be obvious to you, by now, that channel pairs help us visualize how our customers are evolving and changing, providing us with the information we need to determine future strategies.